I’ve fallen behind in my reviewing duties, so I’m going to be catching up over the next few weekends. What Amazon says: The young elf desired only to follow in his mother’s footsteps and become a healer, but when the Emperor’s army attacks his village to punish traitors and conscript youth, Seanchai flees to the mountains, seeking safe harbor with an uncle he has never met. He is shocked as many people sacrifice their lives to ensure he reaches a Wycaan Master, an enigmatic woman named Mhari, who can teach him to wield a powerful death-and-life magic that might just free the races of Odessiya. In a world defined by strict racial boundaries, where humans rule, dwarves hide deep underground, and elves are a slave nation, Seanchai must find a way to create friendships and trust, unheard of since the fall of the Wycaan Masters, and reunite the races into an alliance that will bring freedom to all. Sometimes one must choose between his companions and his destiny. Seanchai abhors his ability to kill and, in the friendships he forges, discovers something potentially more powerful than his magic. Friendship, however, can be a double-edged sword. The book starts off at a fairly quick pace, with Seanchai fleeing his home in the middle of the night to escape the predations of the Emperor’s troops. While events continue to move quickly throughout the book, Seanchai is not always at the heart of the action, as he trains with his master to unlock his powers. Alon took a bit of a risk here letting Seanchai’s companions take centre stage for the middle third of the book. Some readers might be tempted to skim the sections of training if not for a few key transformations that make what might otherwise be monotonous passages startling. Then Seanchai takes the reins firmly in hand leading up to the climax on the novel and the payoff is satisfying. I liked the play on Irish tradition (a seanchai is a traditional Irish historian and storyteller, akin to a bard) and pagan practice (wycaan is a variation of the word wiccan, the modern tradition of witchcraft). His training with his master is distinctively pagan and I appreciated his angle on magic. For a first YA epic fantasy, AtWoG is a good read. The novel is well-paced and written in straight-forward language. Alon has room to learn and grow as an author, and I look forward to the next two books in his series. Strictly speaking, Alon doesn’t need my help. 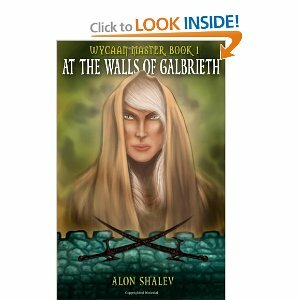 At the Walls of Galbrieth was a quarter finalist in the 2012 Amazon Breakthough Novel Award competition, which led to his getting the novel published that same year. Alon now has two more books in his series published. This year, AtWoG won the YA category and was a grand prize finalist in the 2013 Eric Hoffer Book Award. 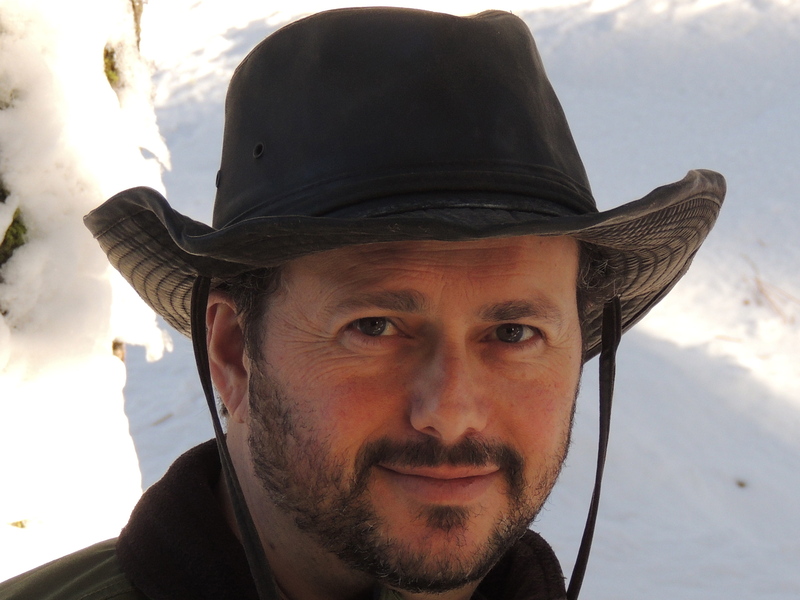 Alon, who blogs as the Elf Writer, is a staunch supporter of epic fantasy as a viable genre despite what some argue as overused tropes (Tolkien-esque writing, elves, dwarves, etc.). I also happen to believe in the enduring power of epic or high fantasy and am very pleased that AtWoG has done so well.